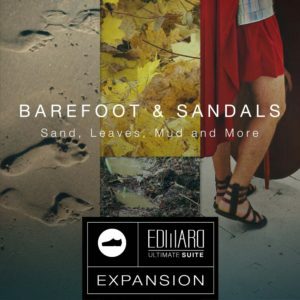 This expansion pack adds Barefoot and Sandals as well as Sand, Leaves, Mud and Clean Concrete to the versatile Edward Ultimate SUITE instrument! Tovusound are developers of foley creation environments for Kontakt Player. 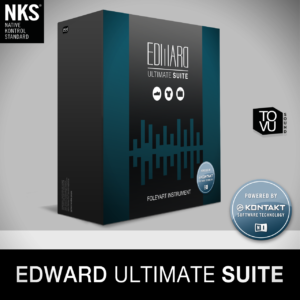 There are nearly 50,000 samples in Edward Ultimate, which makes it the largest Kontakt instrument on the market. Edward will expand accessibility, raise awareness, and ignite MORE interest in the wonderful, fascinating world of foley. Edward Ultimate SUITE is a live playable Foley Artist Instrument with a huge amount of content performed by the Foley Artist: Lara Dale. 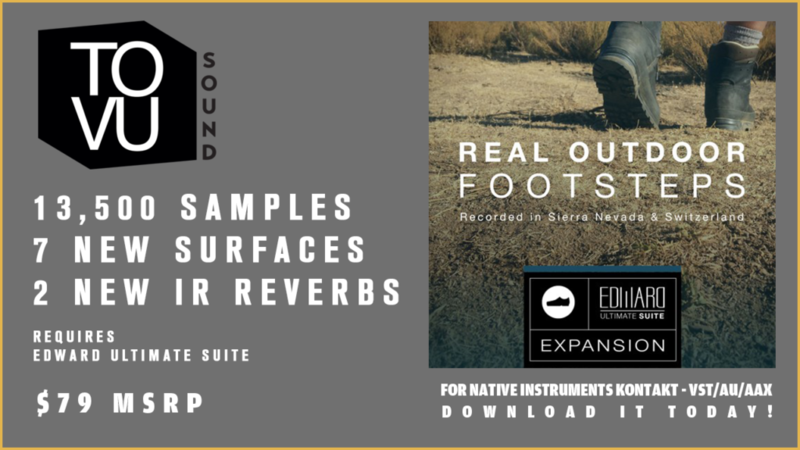 The sound patch inside NI´s Kontakt Palyer gives you access to over 70.000 high quality and real recorded Foley-FX including different walking speeds, behaviors and surfaces. Edward Ultimate SUITE is the result of years of Foley recording and editing, it features the most advanced technology available, as well as a convenient workflow to make the process of creating original sounding Foley easier and quicker. 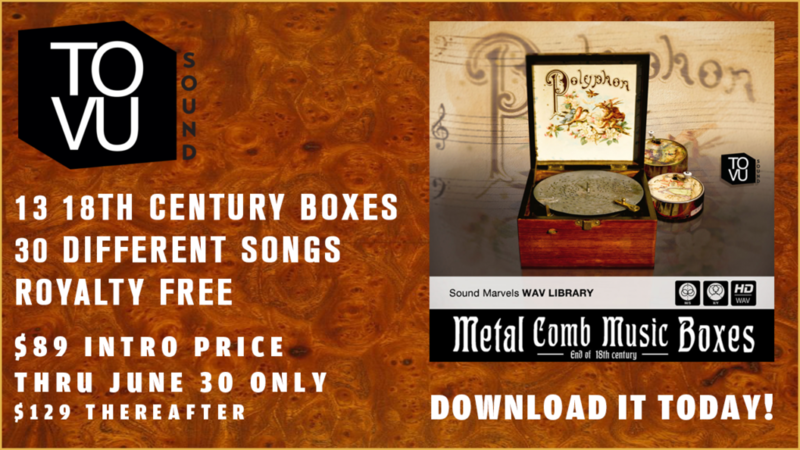 From deep heavy metal, old boat wood over gritty dirt, crunchy leather, crisp gun movement to great sounding bags and coats, this library has it all! 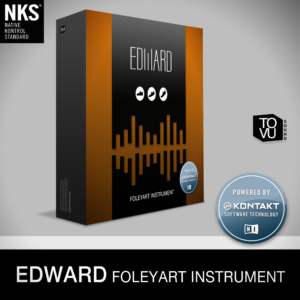 Edward is a live playable Foley Artist Instrument with a huge amount of content performed by Foley Artists. 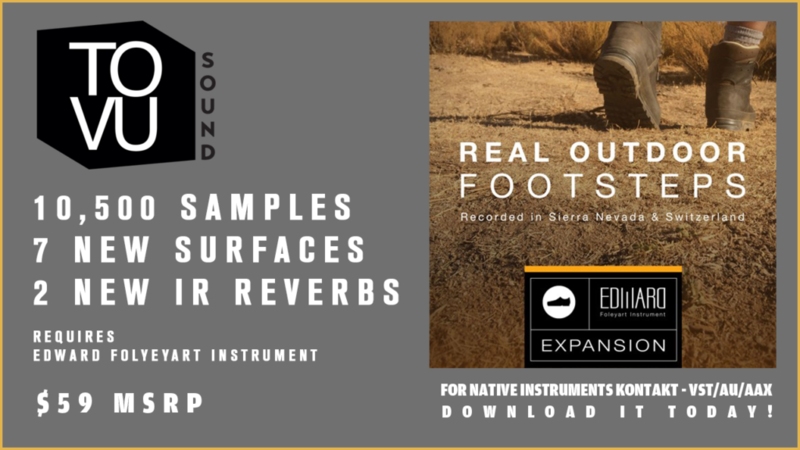 The sound patch inside NI´s Kontakt Palyer gives you access to over 35.000 high quality and real recorded footsteps including different walking speeds, behaviors and surfaces. Edward is the result of years of Foley recording and editing, it features the most advanced technology available, as well as a convenient workflow to make the process of creating original sounding Foley easier and quicker.